Download the custom tool library for delrin here. 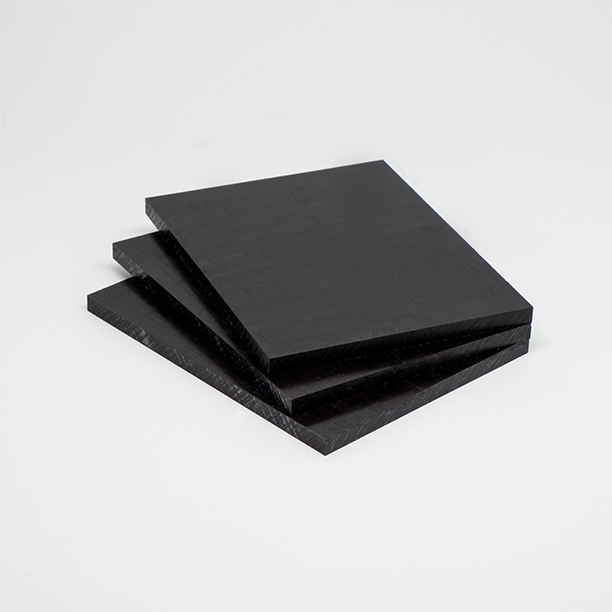 Delrin is the brand name for acetal homopolymer resin, which is a very hard, high-strength engineering plastic. 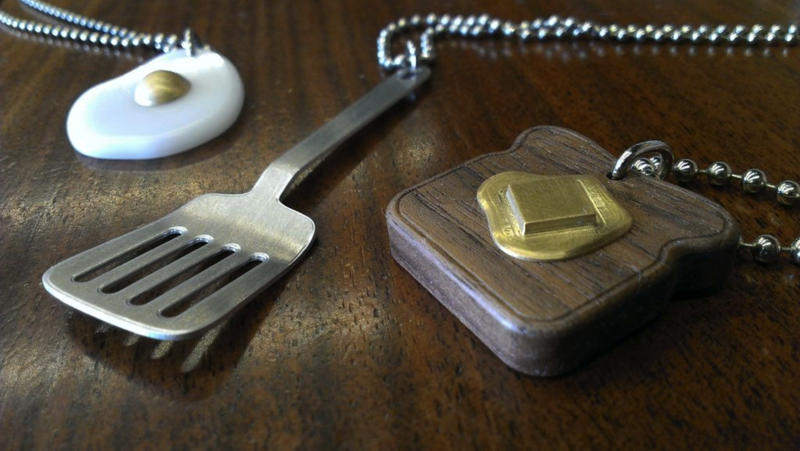 It can withstand temperatures from -40°C to 120°C (-40°F to 248°F), and it holds its shape well over time. Despite being hard, it mills easily and gives a really nice finish with the right settings. It’s also self-lubricating (aka slippery), which allows it to be used for parts that slide against other parts without wearing down or sticking. What is Delrin used for? From the manufacturer: Delrin is used for high-load mechanical applications, such as gears, safety restraints, door systems, conveyor belts, healthcare delivery devices, and components across a diverse range of products and industries. A number of the Othermill’s parts are made of Delrin, notably the bearings and anti-backlash nuts used in all the carriages. 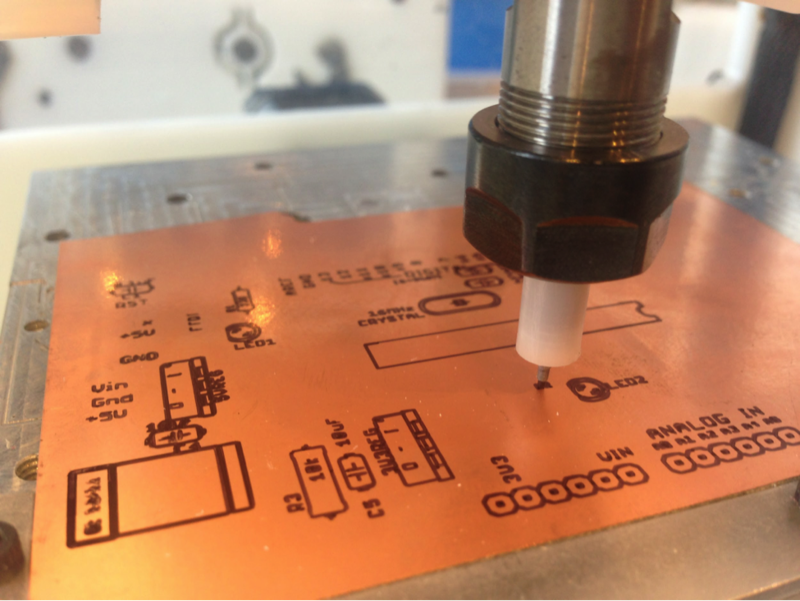 When milling Delrin, Othermill users mostly make mechanical parts. Yes! But as with all materials, we don’t recommend inhaling or eating the swarf. Where can I get Delrin? 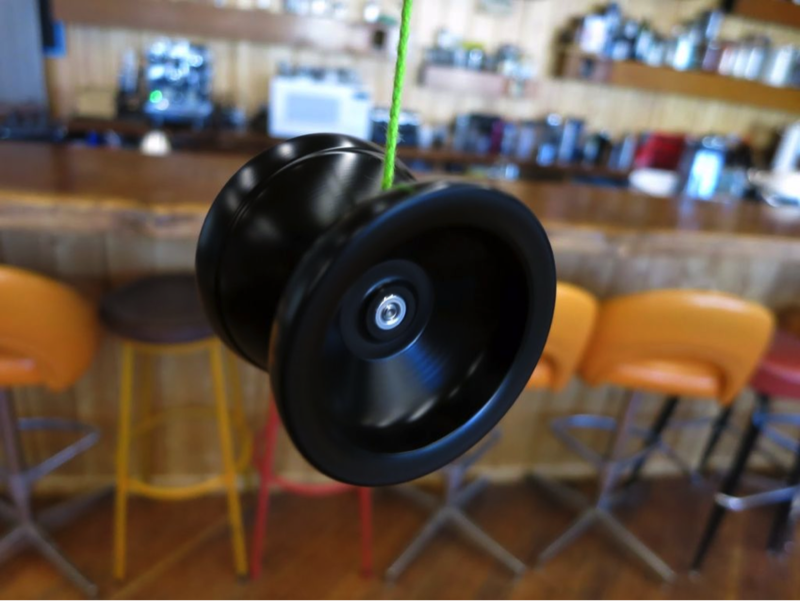 We sell pre-cut pieces of both black and white Delrin in our store. They’re the perfect size for many Othermill projects, and they fit nicely on the Othermill bed. 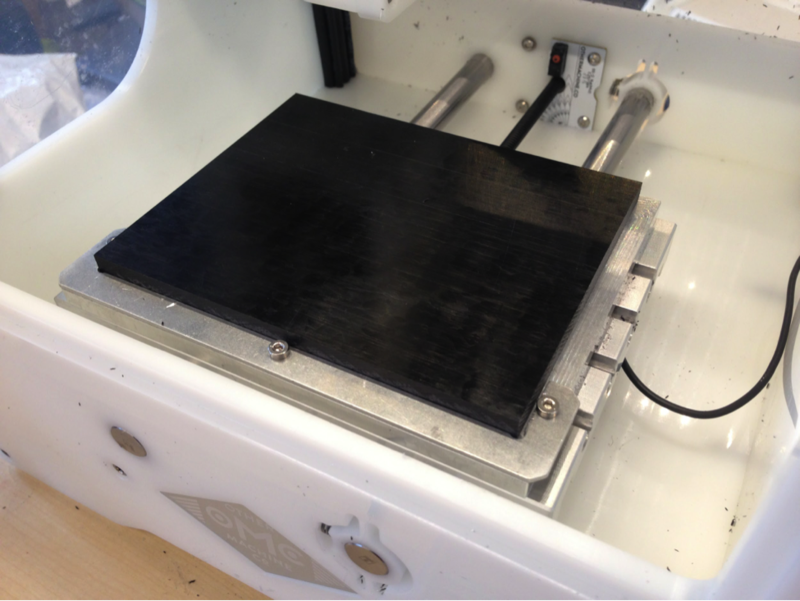 Fixturing: How do I attach Delrin to the bed of my Othermill? 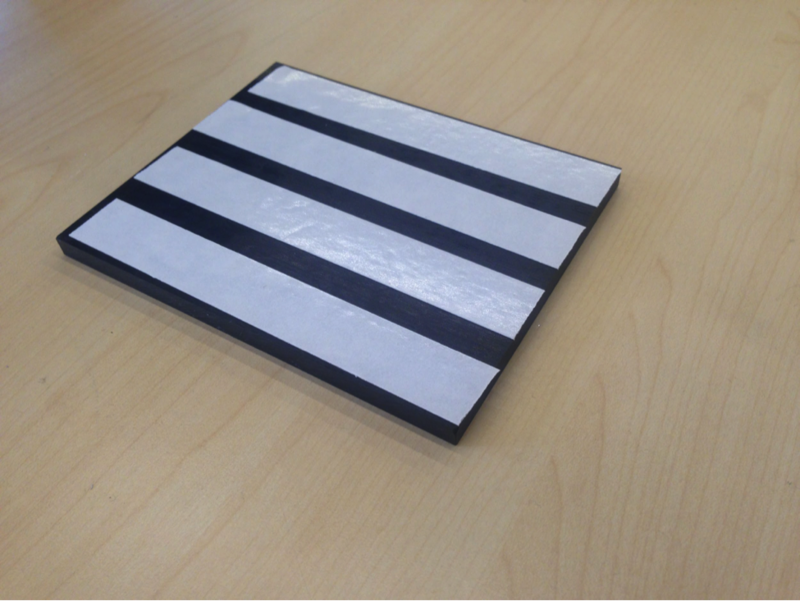 High-Strength Double-Sided Tape is a great method of attaching Delrin to the machine's bed. To use High-Strength Double-Sided tape, place strips evenly across the underside of the material. Then peel off the backing, and press the material firmly down onto the machining bed. If you’re feeling ambitious, you can remove the spoilboard, attach the material with tape, drill holes in the material that align with the slots in the T-slot bed (see Dimensions and Diagrams), and then bolt the material to the bed with low-profile M5 bolts. This provides extremely strong fixturing. What endmills should I use when milling Delrin? In general, larger tools like 1/8" and 1/16" End Mills are better because they cut through material the fastest and are least likely to break. For 3D shapes like the yo-yo project below, a 1/8" or 1/16" ball End Mill produces the smoothest contours. For best results, keep a set of endmills specifically for Delrin and other plastics, and never use them to cut metal or PCBs. This allows for increased milling speeds and a better finish. What are some examples of projects you can make with Delrin? Max Pass Depth: 0.003"–0.020" (0.08 mm–0.5 mm) Keep in mind the engraving tool is V-shaped and thus has a variable width, depending on your “engraving cut depth.” The deeper the cut, the wider the tool. The shallower the cut, the narrower the tool. If you’re using an engraving tool and the generated path isn’t cutting part of your .svg file, try reducing the engraving cut depth. Max Pass Depth: 0.003"-0.020" (0.08 mm–0.5 mm) Keep in mind that the engraving tool is V-shaped and thus has a variable width, depending on your “engraving cut depth.” The deeper the cut, the wider the tool. The shallower the cut, the narrower the tool. If you’re using an engraving tool and the generated path isn’t cutting part of your .svg file, try reducing the engraving cut depth.